The most abundant source of fresh water is the Earth’s atmosphere. When atmospheric humidity condenses, it falls as rain. Skywater® replicates this natural process of condensation by simulating the dew point, which allows it to make water continuously, even in low humidity conditions. This is Skywater®'s patented adiabatic distillation process. 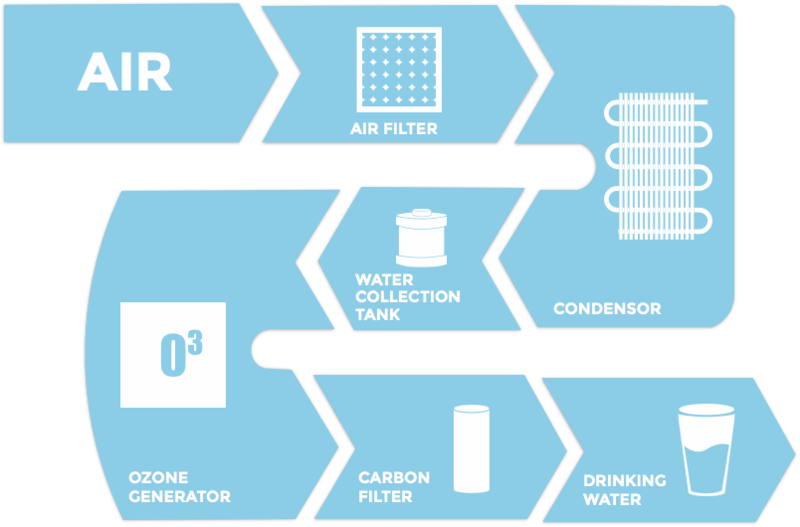 Again replicating nature's process, Skywater® generates ozone to purify the water. Ozone (O3), a natural occurring gas that is produced in nature when it rains, binds with water to eliminate bacteria and other impurities. Skywater® does this by pumping ozone through the water as it is collected. Unlike other water treatment methods such as chlorine, ozone leaves no taste. 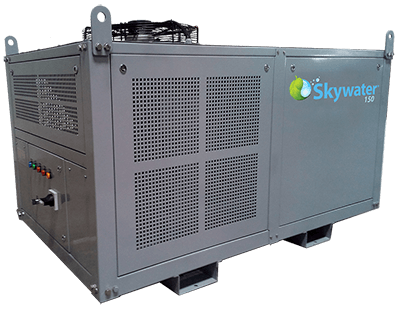 As water shortages persist around the world, Skywater® products provide effective emergency water solutions. Island Sky is seeking entrepreneurial business professionals interested in distribution opportunities.